An Inspiring Kitchen and Bath Remodeling Open House! Splash Galleries and Hamilton DesignWorks are hosting an exciting and inspirational Kitchen and Bath Remodeling Open House at the Splash Galleries Showroom. If you are planning an upcoming remodel, we are here to help! We have assembled a team of the finest designers andcraftsman to help you design and facilitate your remodeling project from start to finish! We make it easy and convenient for you with our years of expertise and streamlined processes. In our Showroom, you will get to see all the latest styles in Kitchen, Bath, and decorative hardware. Our goal is to simplify your remodel. With us, you will not have to run all over town making selections, coordinating sub-contractors, or worry about who to hire for each part of the job! 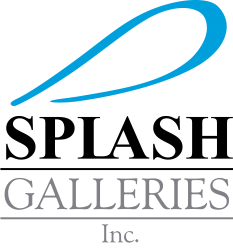 You start with a Project Consultation with the team, make fixture selections at Splash Galleries, and we take it from there! Simple, efficient, and stress-free. Our team has many years of experience in design and remodeling here in the Raleigh area and beyond. We also specialize in Handicap Accessible, ADA, and Aging-In-Place Bathrooms utilizing Level Entry Shower Systems from VIM Products. We feel strongly that bathrooms should be beautiful while also safe and accessible for all! At the Open House, you will have an opportunity to meet some of the team, get ideas for your own remodel, and browse our showroom while enjoying delicious hor d’ouevres and complimentary wine! Please RSVP at this link or by clicking on the photo above! Native Trails – Brand Spotlight	New Items on Display at Splash Galleries!